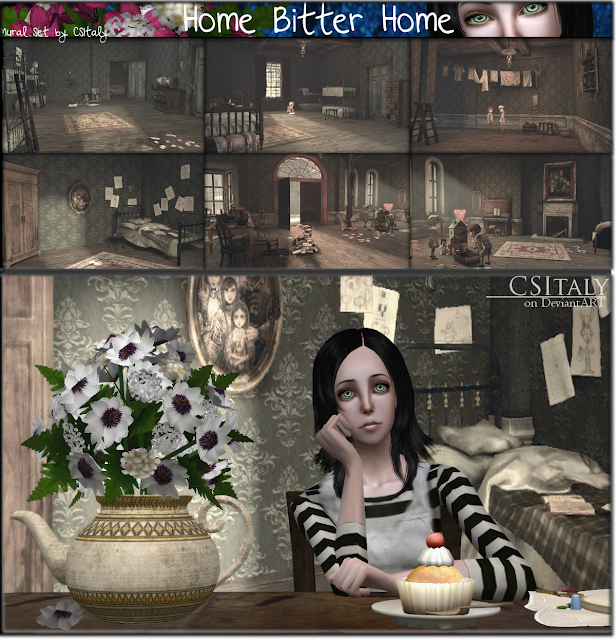 I've fixed some of my old mural sets: "Back To Wonderland", "DollHouse" and "Home Bitter Home". Now they're (almost) in the right order and collections are included! Unfortunately this set was a complete mess.. I've lost two murals while I was fixing it. do not redistribute, link the picture instead!